We have divided our case study section into two categories. The first being ‘individual projects’, where you will find the details for many of the buildings we have completed recently. The second category covers ‘topics’. These are subjects that are applicable to some or many of the buildings we have delivered and concentrate on specific, but common aspects of developments. It’s a good question! It’s a bit of a catch all that seems to include everyone from the amateur house renovator to the likes of Donald Trump! At Artisan we believe that to be an effective developer, particularly in the commercial property sector, requires a range of business and project management skills, technical expertise and financial acumen in order to deliver sound investment and value for money for our clients, be they land owner, agent or occupier. Some developers may only seek to act as facilitators or ‘conductors’ of a project and thus the term developer can refer to a wide range of directly or indirectly related activities. Our aim at Artisan is to offer a complete end to end service that provides sound commercial advice and expertise across a range of key factors that constitute the entire project, thereby ensuring maximum value and efficiency throughout the process. It starts with the old cliché location, location, location and, clearly, finding optimum locations that will attract the right occupiers is key. With 20 years experience as commercial property developers in East Anglia local knowledge is crucial in identifying the right sites for development. Once a suitable site and a willing landowner are identified the ultimate aim is to maximise the land potential and deliver the best possible buildings, efficiently. In between, of course, there are many considerations to be taken into account and much liaising with third parties. The list is endless: landowners; agents; architects; planners; environmentalists; builders; banks and financiers; health and safety and of course the eventual occupiers. Artisan’s approach is to take control of every aspect by ensuring that our project managers have the expertise and experience to deal with all these variables – not least by having our own construction division, Artisan Projects Ltd.
And of course, this enables us to deliver projects to timescales that might otherwise be impossible. Refurbishment or bespoke? The answer to this question is probably the most fundamental consideration for growing businesses looking to expand into new premises. Cost is always going to be a major consideration and on the surface refurbishing an existing building may seem the most economic route, but there is inevitably an element of compromise in this approach, whether it be location, building design or myriad other factors that could result in false economy in the long run. Once you start to consider the efficiencies that can be designed into a new build, the long-term economies may look very different. Sustainability, environmental concerns, building efficiency and a host of other factors all play their part in helping to deliver maximum value for site owners and occupiers alike. A bespoke building allows you to control and dictate specification, which ensures all requirements are met and value is maximised. At Artisan we use a 360 degree, end to end approach to project development that ensures you get the building you want. Without complete control of a project competing interests can sometimes compromise its success. For example, it’s not unknown for a builder not to want to build what the architect has designed! To overcome this we take full responsibility for every aspect of the project from sourcing the right location, design and construction through to delivery and occupation. We even have our own construction arm, Artisan Projects Ltd, to ensure there are no nasty surprises in the fulfilment of each project, particularly where cost is concerned. This ensures that costs are nailed down, controlled and completely transparent from the outset. This degree of control also enables us to deliver timescales that might otherwise be impossible. It starts, and ends, with a detailed understanding of the client’s needs, ensuring you take delivery of an individual building designed and developed to meet your specific requirements. Of course, developing complex buildings for specified requirements can throw up all sorts of problems. Even with the best-laid plans, we understand that challenges may present themselves during the life of a project. 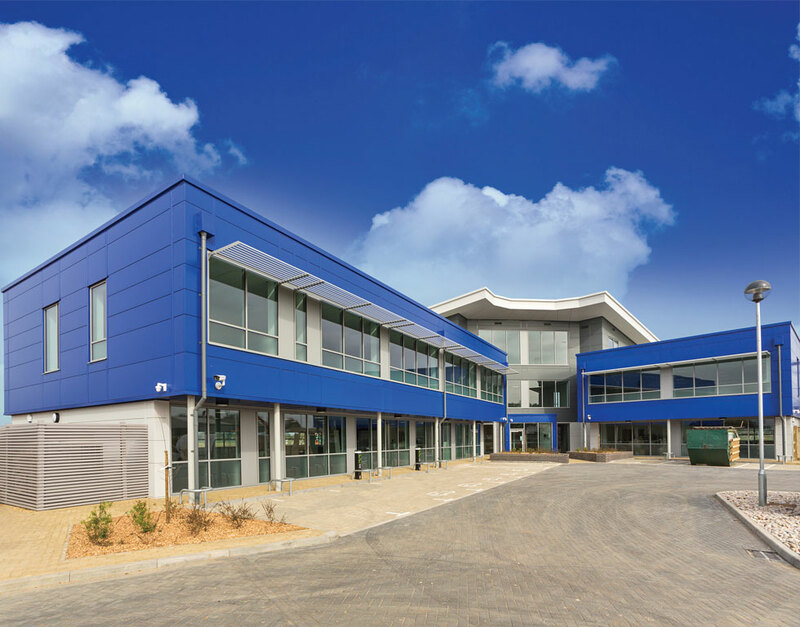 Our heritage of 20 years commercial and industrial development project completions across East Anglia means we have the experience and expertise to find the answers. We are on-site and on-hand, if building design details need amending, for last minute revisions to the final configuration of a building, liaison with local authorities and so on. All of this combines to ensure our clients occupy buildings that are right for their business at the right price. ForFarmers, the international agricultural feed business and European market leader, had outgrown its 3 East Anglian operating sites. 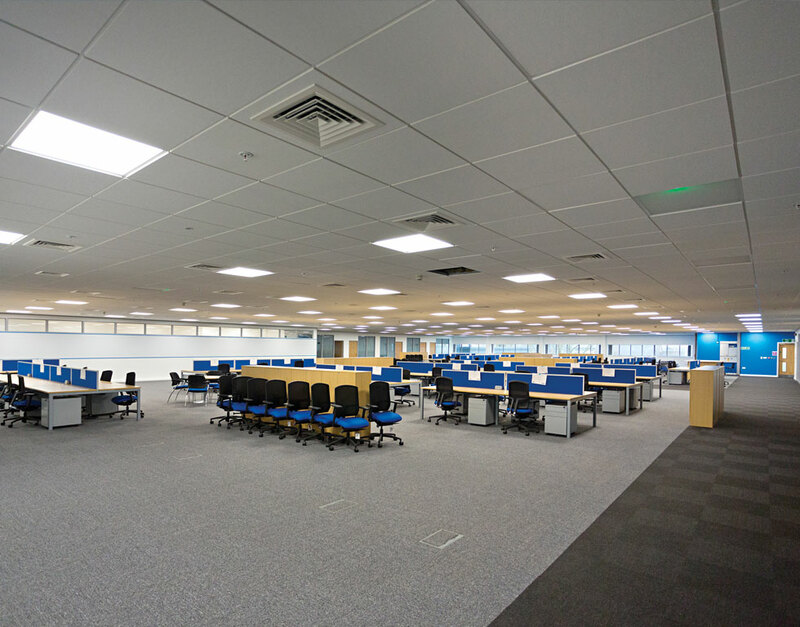 They had identified the ideal location for the development of a new flagship Regional Office, bringing 120 members of its workforce together under one roof. 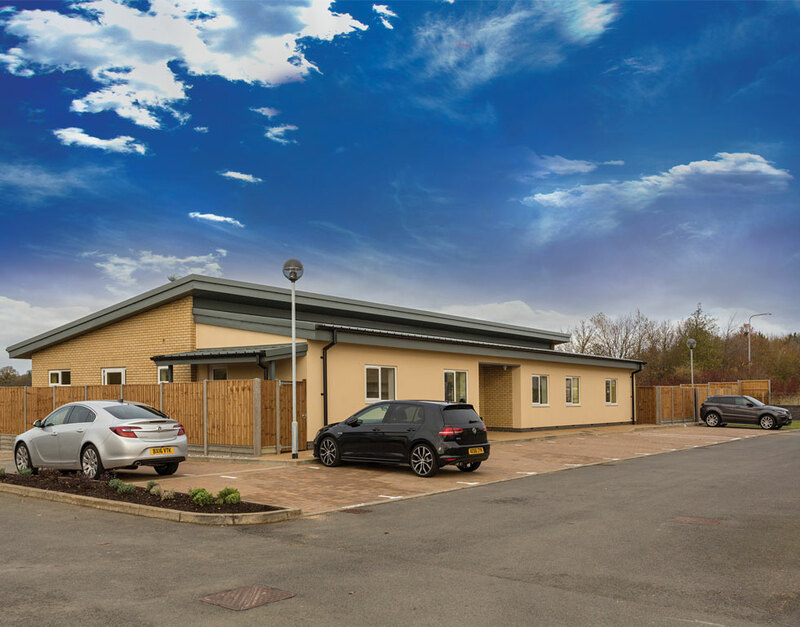 The extension to the Rougham Industrial Estate afforded ForFarmers the perfect location to build their office, sitting alongside an existing feed mill, and in the heart of East Anglia. Richard Cooper, a former Board Member of ForFarmers, was retained to steer the new office development through. The first cost plans nearly stalled the project. Recognising the need to take cost out of these draft plans, whilst maintaining the integrity of the final build, Richard asked his commercial agent, Savill’s, for advice on who could help him crystallise the plans into a viable project. 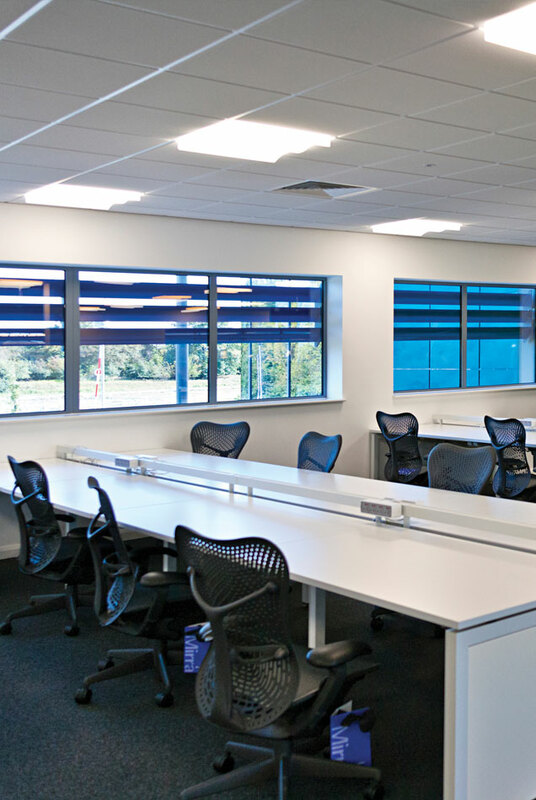 Savill’s put forward Artisan as exactly the sort of development partner that Richard needed to deliver a first class development for a viable budget. When Artisan came in, they pared some of the costs back…. With the addition of Artisan’s construction arm Artisan (UK) Projects Ltd, the delivery team was in place. At Artisan, Michael immediately began to put forward alternative solutions to deliver the ForFarmers office as proposed, but within a more achievable budget. Richard and Michael worked closely together, evaluating the pros and cons of each choice. Naturally, every Artisan building is bespoke, and ForFarmers had a clear vision for the design of their building. The final specification is the result of careful consultation between Artisan and ForFarmers to strike the right balance between cost and design. Artisan used a formal Joint Contracts Tribunal (JCT) contract mechanism to contract with its construction arm so that ForFarmers could have complete peace of mind about the way in which that process would work. Artisan’s combined role as developer, project manager and contractor to deliver the building was another key strength, from ForFarmers’ point of view. At the end of the design and development process, Artisan agreed a Project Cost Plan containing a fixed maximum, so ForFarmers’ total cost risk to Artisan was capped in advance of building commencement. Importantly, the construction budget was tendered on an open book basis, with agreed fixed margins for overhead and profit. ForFarmers had the assurance that there would be no hidden surprises. Artisan made sure they had highlighted any risk areas. ForFarmers could then agree where it was appropriate to include an agreed contingency within the fixed price, or where they’d prefer to set aside a contingency allowance outside of the agreement. The first major issue to be dealt with was ensuring that the site would have major public highway access, and Artisan worked closely with the Local Authority and ForFarmers to help solve this crucial viability issue. Artisan provided lots of advice on value engineering all aspects of the base building to deliver the final building at the right place. This started from the ground up where Artisan recommended a suspended reinforced concrete ground slab. As part of the design choice process, they invited ForFarmers to visit other Artisan-developed buildings so that ForFarmers could see with their own eyes that alternative design solutions could lower costs without affecting the overall impact of design. ForFarmers in particular were attracted by the option to use ribbon windows instead of full height glazing. They also opted for alternative composite roof and wall cladding materials to bring character to the design at lower cost. Artisan gives all its clients advice on how to enhance the environmental efficiency of their buildings, and as part of this process, ForFarmers opted for solar panelling on the roof, which also ensured that environmental building regulations were satisfied. 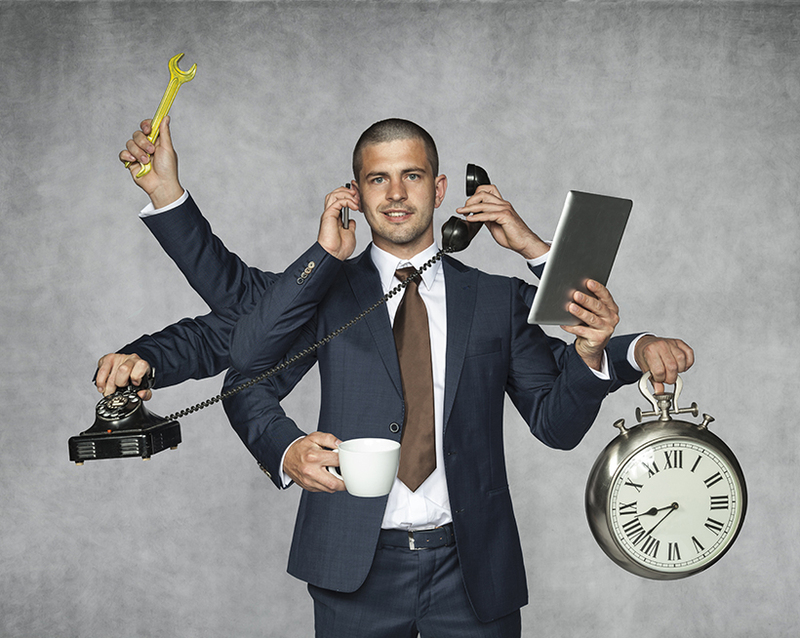 Artisan is fastidious at the pre-planning stage in order to ensure every member of the delivery sub-team has sufficient lead in time to make sure all deadlines are met. Easy to deal with people who inspire confidence from the outset. Know the planning system inside out and help turn plans into viable projects. Work with you to deliver a project at the right cost for you by highlighting cost efficiencies that save money but maintain quality. Financial nous – investigate and explain different funding structures. Open and clear: open book on costs and margins, clear contract terms, no hidden surprises. A high quality outcome: A building to be proud of. Value for money – a winning combination of expertise, attitude, responsiveness, and financial savvy. Seamless handover from planning to construction. Kelway, now part of CDW Ltd, manage data, IT services, and supply chain planning on behalf of its international client base, via a network of offices across the globe. 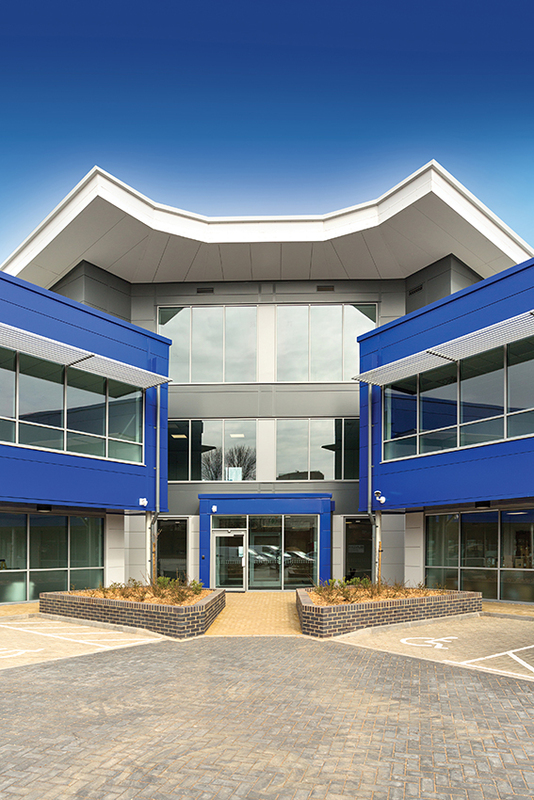 The latest of their offices is located at Cygnet Park, Peterborough and is categorised as Planning Class B1 Offices. 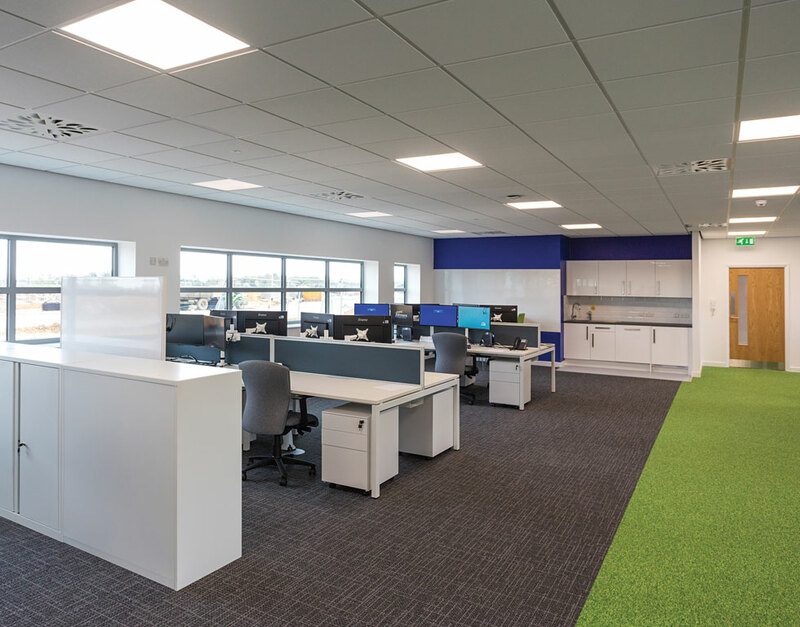 Kelway operate in a fast-moving business environment and they needed new premises at pace, to accommodate their fast-growing team of colleagues. Ian Holah, Head of Facilities & Safety at Kelway, was introduced to Artisan (UK) Developments and its MD, Michael Eyres. Artisan held the ideal piece of land to provide Kelway with a bespoke new office building, tailor-made for their requirements. Artisan could also deliver pace to bring the project forward to meet Kelway’s exacting deadlines, through Artisan’s sister construction arm, Artisan (UK) Projects Ltd (APL). 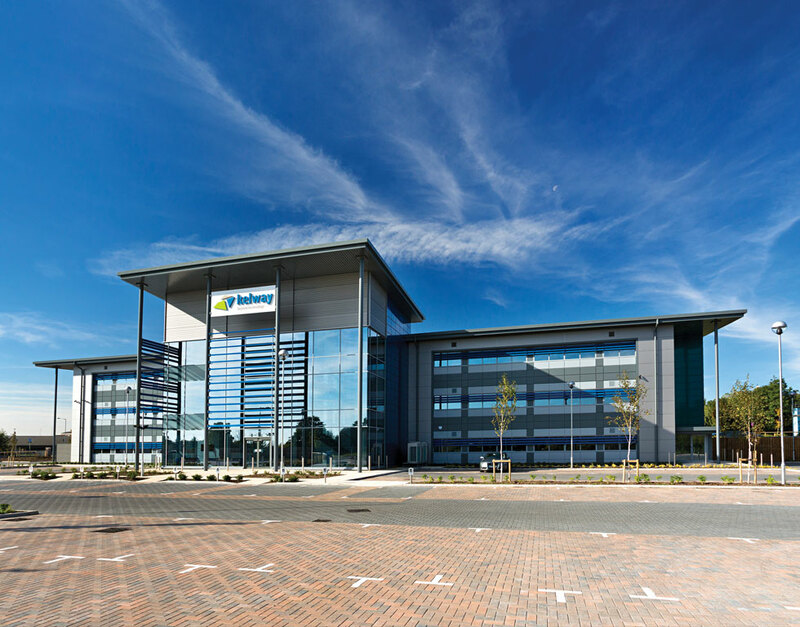 Kelway not only needed speed of delivery, they were also committed to their new building achieving a BREEAM rating of Excellent – to demonstrate their commitment to the sustainability and environmental credentials of their new working premises. Artisan took this requirement on board and worked alongside Kelway every step of the way to ensure compliance. Artisan prides itself on offering intelligent, bespoke financing solutions to every project and Kelway opted to lease the building directly from Artisan. The Agreement to Lease required Artisan to deliver the building via APL within strict timescales. The Joint Contracts Tribunal (JCT) contract mechanism between Artisan and APL laid out the process clearly to Kelway and Ian Holah was pleased to proceed. 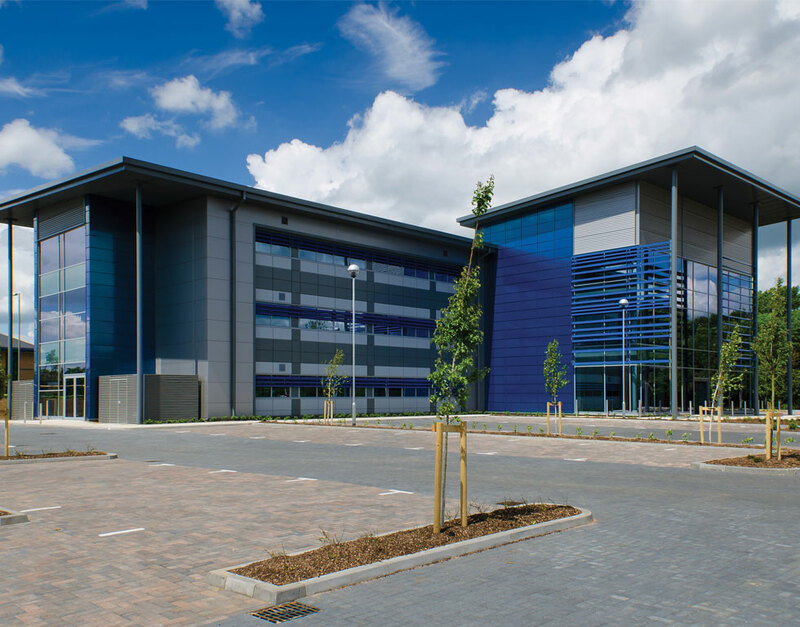 Kelway could rest assured that Artisan could manage the entire process from provision of the land to obtaining necessary development permissions, right through to building and fitting out a BREEAM Excellent building. Artisan’s first solution to Kelway’s tight deadlines was to suggest that they fast-track the development process by running a number of the different strands of the development process in parallel, such as commissioning the long-lead in construction items at the same time as finalising the development’s legal niceties. Next, Artisan’s long experience of development enabled them to negotiate a 6-week planning determination window with the Local Authority planning department. This would normally take 13 weeks! Finally, Artisan targeted the critical path of the delivery programme by implementing a 7 days a week, working week construction schedule, as this was the only way to ensure deadlines would be met. The construction programme itself was meticulously prepared and then project managed by APL’s Head of Construction, David Railton and his experienced team. The combination of efforts applied from development, legal, and construction angles resulted in the building being delivered 1 week ahead of schedule – and Ian Holah agrees this is a credit to Artisan and its way of working. 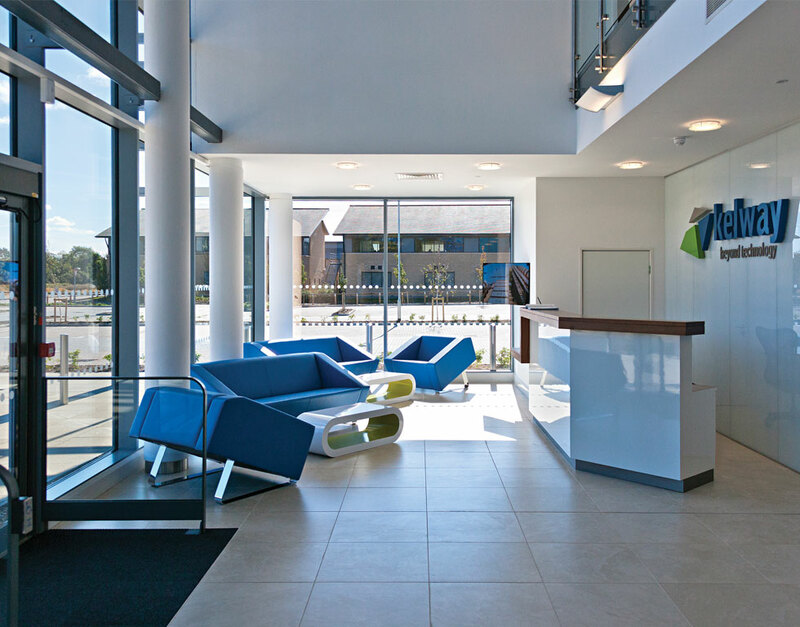 At all times, Ian and David worked in partnership to focus on the BREEAM Excellent rating requirements – and to Ian’s delight Artisan stayed on track, on time, even when the BREEAM requirements were updated and enhanced during the project’s lifespan. Ian worked pro-actively with Artisan – meeting with Michael and David frequently to sign off every aspect of delivery and BREEAM Excellent requirements. • A brise-soleil to deflect sunlight and prevent excessive heat builing up inside. 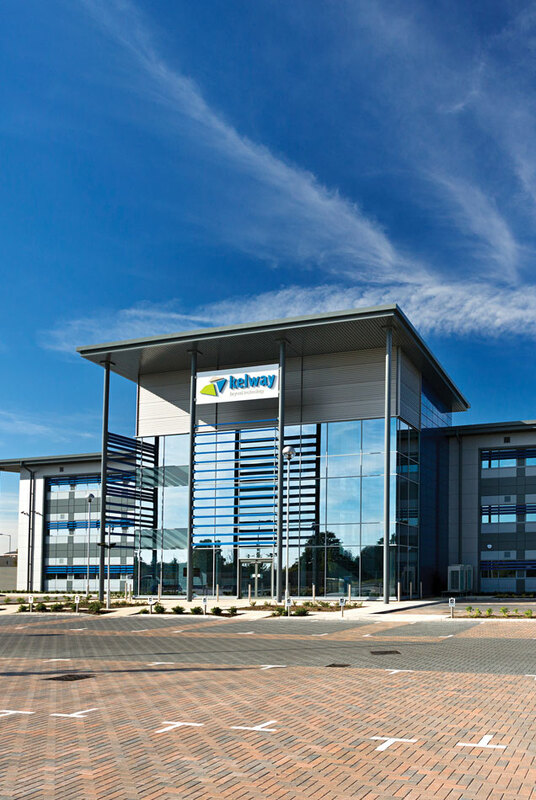 [Kelway] were also committed to their new building achieving a BREEAM rating of Excellent – to demonstrate their commitment to the sustainability and environmental credentials. They wish Ian and his team many years of fruitful occupation of these high quality premises. 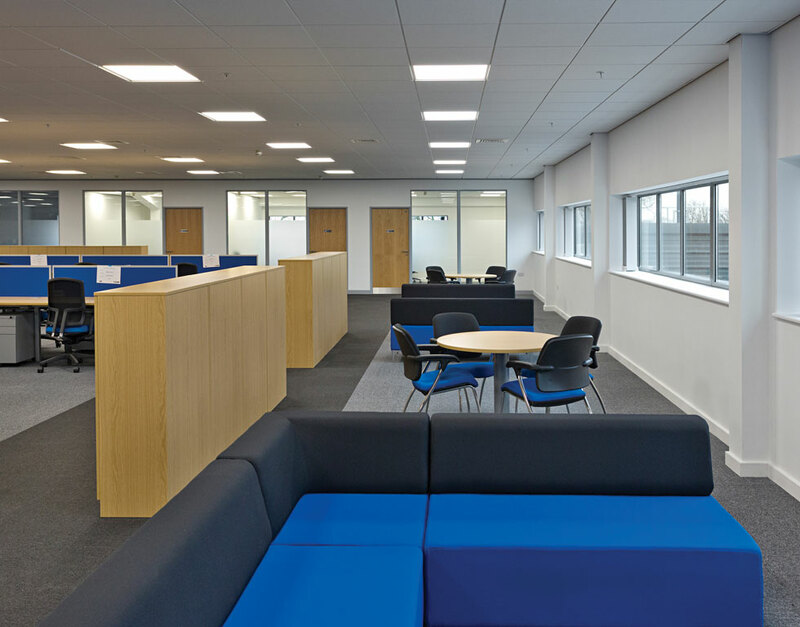 Kelway were subsequently taken over by CDW who are currently in discussions with Artisan about another new facility. 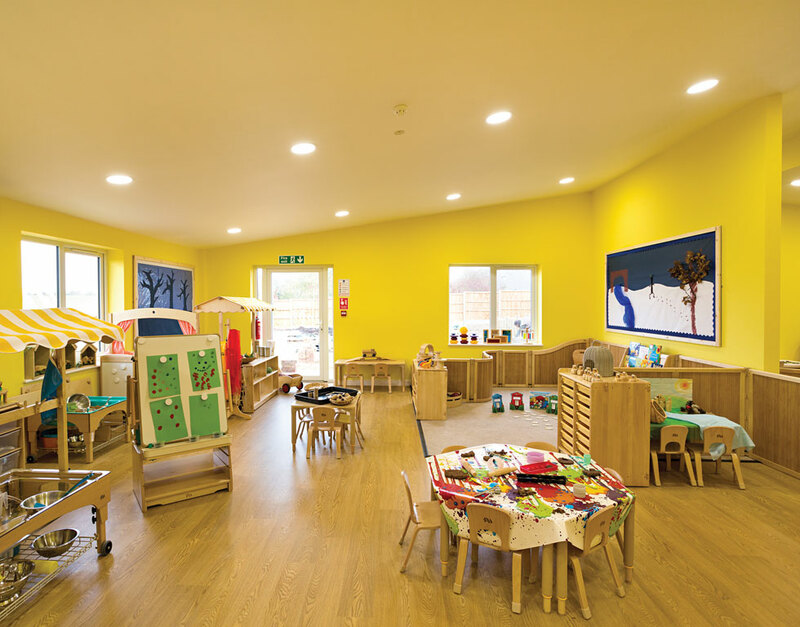 Vantage Park Day Nursery, is to use its own words, “a beautifully presented, purpose-built property which has been carefully designed to provide a homely and welcoming early years setting”. 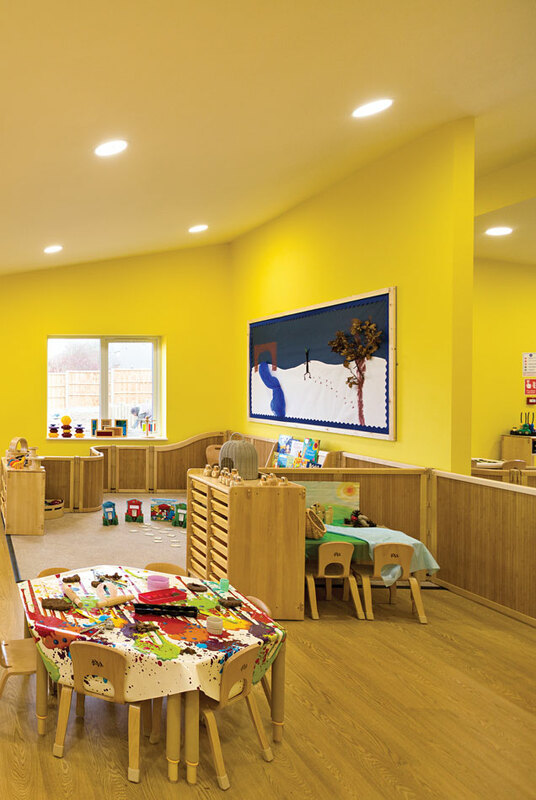 The Vantage Park Day Nursery is part of Cambridge-based Wigwam Nurseries Ltd, who chose to work with Artisan (UK) Developments for this purpose-built facility, just off the A14. 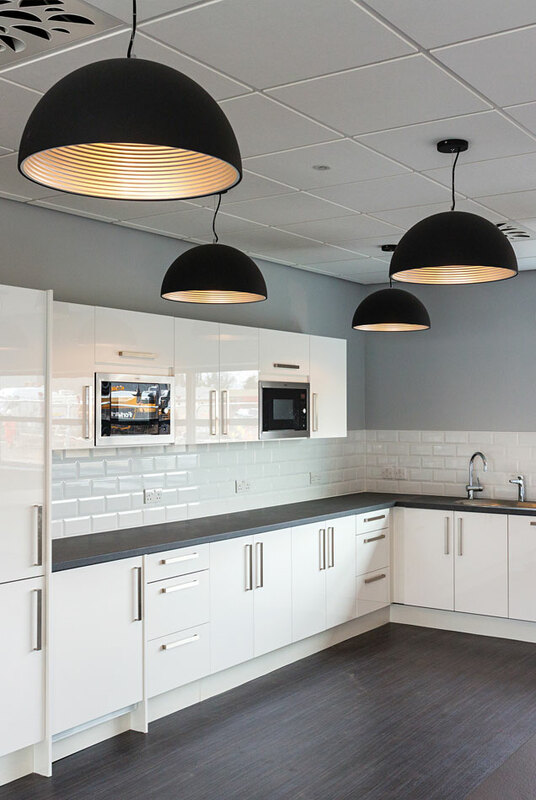 Wigwam chose Artisan because of their “can-do” attitude: the project had been experiencing delays in getting off the ground until Wigwam’s commercial agent introduced them to Michael Eyres, Artisan Managing Director. Michael soon ascertained that what Wigwam needed was a very tightly-costed build (Wigwam needed to strike the right balance between the quality of build and affordability for its customers), which respected the special requirements for a building in daily use by our youngest and most precious new citizens. 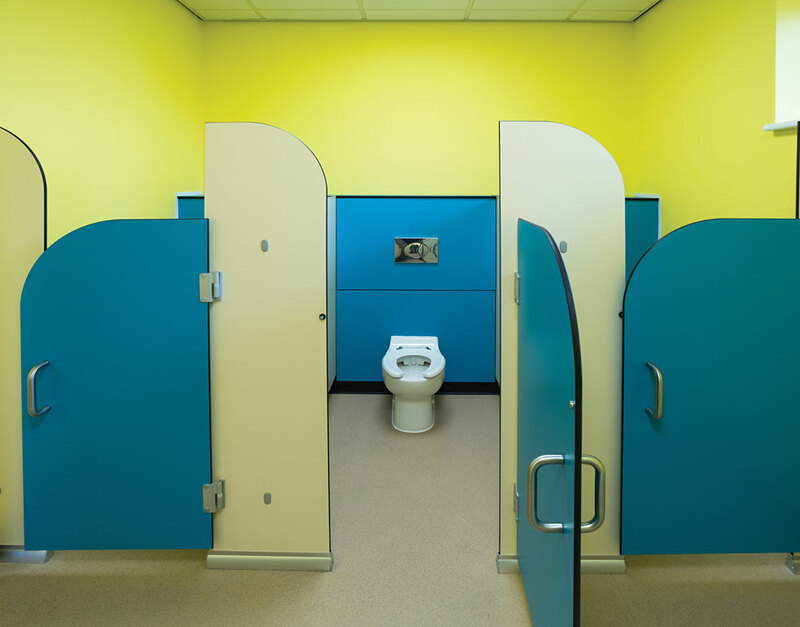 One of the issues which soon emerged was the critical build standards for the kitchen facilities: children attending Vantage Park Day Nursery receive freshly prepared meals each day – food being liquidised or pureed for the very youngest – but prepared to utmost standards of hygiene and allergy control. A typical midday meal might be chicken and sweetcorn pie, followed by chocolate pudding and sauce. Fresh snacks and fruit are always available so refrigeration and exceptionally safe preparation areas were crucial. 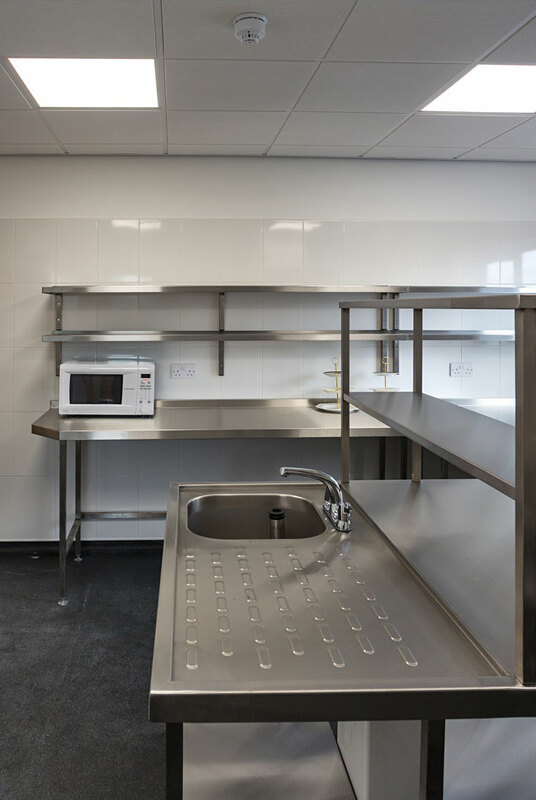 Artisan agreed to ensure that the kitchen was fitted earlier in the project than would normally have been the case; Wigwam need to be able to demonstrate that these facilities met all the necessary standards during the build, rather than after it. 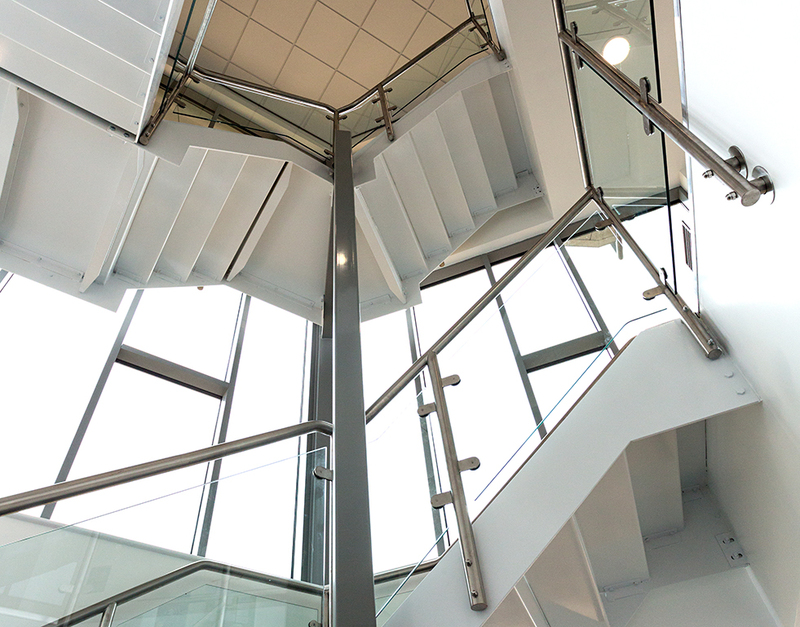 Artisan was able to accommodate this requirement because of its unique relationship with its own construction arm, Artisan (UK) Projects Ltd (APL). Artisan entered into a JCT contract with APL, with this stipulation clearly specified and all costs open and transparent to Wigwam. Wigwam appointed their own architect to help oversee the monthly interim valuation and payments; Artisan was content and confident with this arrangement. Because budgets were tight, this JCT was undertaken on the narrowest of margins, with Artisan therefore accepting all cost risk on the build: working hand-in-hand with APL’s director, David Railton, every step of the project was closely designed, costed and delivered without variance, with an outcome that Wigwam is justifiably proud of. It may feel as though there are almost as many ways to structure a commercial building financially as there are to fit it out! 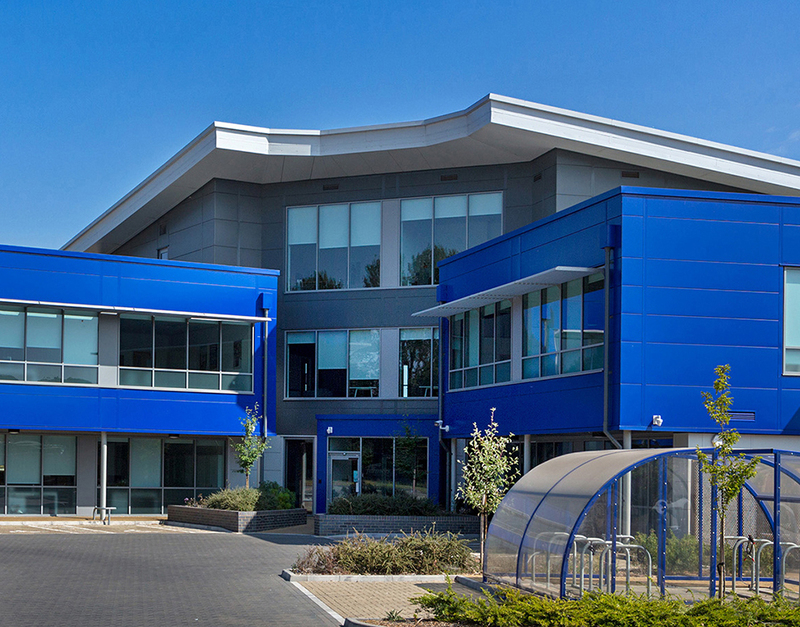 Artisan (UK) Developments, as Greater Cambridge and Peterborough regional specialists for commercial and industrial building, work closely with our clients, be they landowners or building occupiers, to find the best way to maximise value and deliver return on investment for any project in which we are involved. We recognise that speculative investment is not the most attractive route for today’s low-interest rate market and work creatively to find the right financial solutions to achieve viability and return for our clients. The keys to our financial approach are: flexibility in funding, open-book arrangements in terms of payments, and certainty on cost. 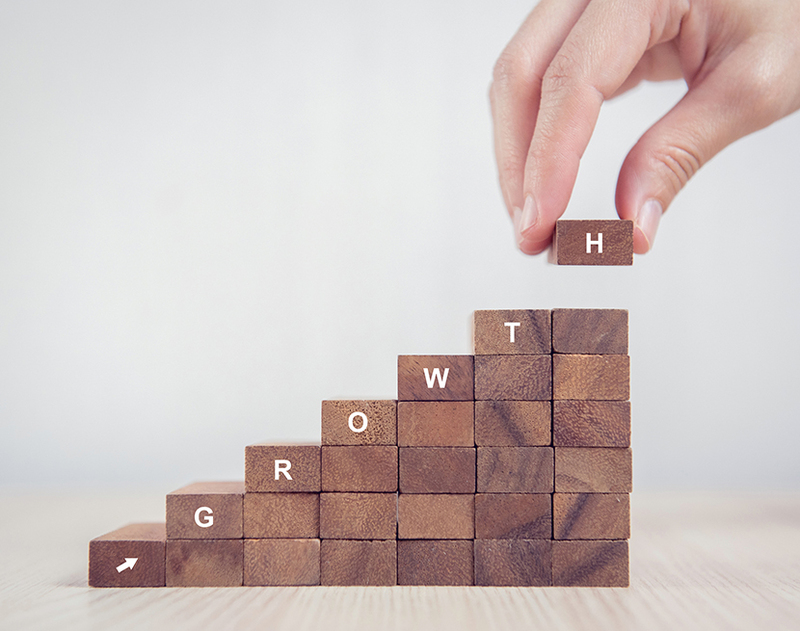 Our over-riding aim is to find the route which suits our clients’ funding aims: we have the expertise to work through the positives and negatives of different funding approaches. We offer anything from a fixed price for clients who need to minimise risk, to sharing risks and rewards – for instance, fixing prices for build and delivery, and sharing in the return if buildings are to be sold as an investment. We are always happy to consider as many alternatives to funding and financial structures as necessary – taking into account differing approaches to risk and the timescale for returns. Occupation leases, sold part way through the building construction phase, working with an independent Quantity Surveyor to monitor and agree valuations during construction. Artisan (UK) Developments has its own construction arm: Artisan Projects Ltd. This in-house capability means financial savings for our clients via our pre-negotiated rates, and absolute transparency on costs – we will open our books to any client who wishes to proceed on that basis. 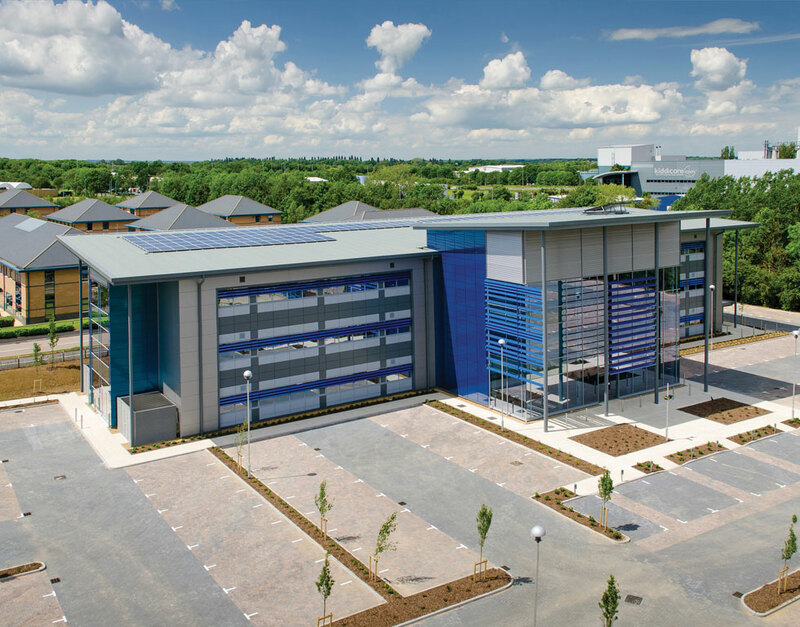 We understand that cost control is vital to any business, and particularly so on such a large capital investment as a new building. In addition to offering open-book arrangements, we will agree upper caps on costs: there will be no hidden surprises on the finances with an Artisan project. For more information, or for a free initial evaluation of your business development needs, please contact Michael Eyres on 01480 436777. Black Teknigas is a leading manufacturer of combustion, industrial, medical and laboratory gas control equipment. In an industry where safety and reliability are absolutely critical, Black Teknigas products are designed and approved to the latest World & European standards. 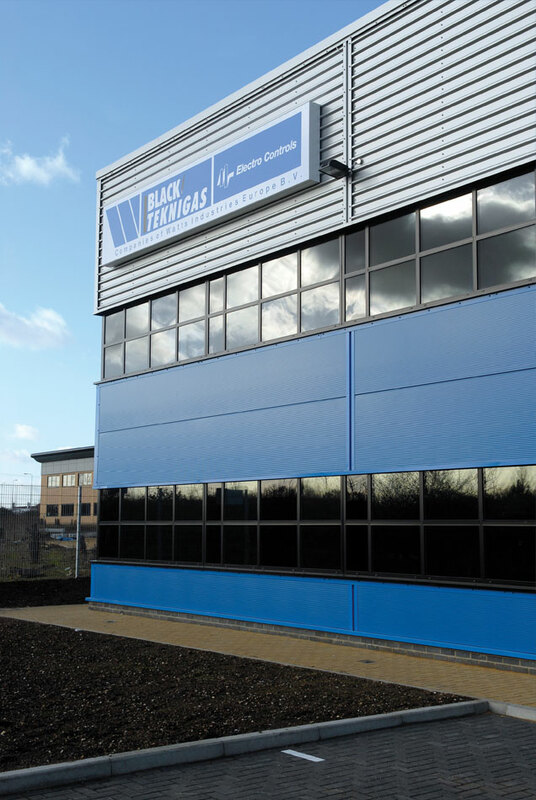 When the business required new office and manufacturing space, its Chairman turned immediately to Artisan (UK) Developments Ltd.
Black Teknigas were delighted that Artisan would work hand-in-hand with their own construction division, Artisan (UK) Projects Ltd (APL), to handle every aspect of the highly specialist build requirements. As a protection to Black Teknigas, and part of its standard operating procedures, the development arm of Artisan entered into a clear and transparent JCT contract with APL. In terms of building construction, there was a prime need to accommodate the very particular technical requirements for Black Teknigas, which is operating at the forefront of gas control product solutions, supplying critical components to the likes of BA, the RAF, and London Underground. …giving Black Teknigas the confidence that the right experts were working on their build, along with the peace of mind to know that the technical delivery would be project managed, supervised and guaranteed by Artisan’s own expert construction team. Consequently, Artisan engaged with and project managed the niche technical experts for this aspect of the build – giving Black Teknigas the confidence that the right experts were working on their build, along with the peace of mind to know that the technical delivery would be project managed, supervised and guaranteed by Artisan’s own expert construction team, to ensure that the safety-critical installations took place exactly as prescribed by the brief. The project was designed in phases across a 5-year period, to facilitate the planned growth of the Black Technigas business. The financial investment structure required an unusual and individual approach that involved a set of leasing and buy-back agreements which Artisan tailored to accommodate Black Teknigas’s requirements to extend the factory within an agreed time scale. 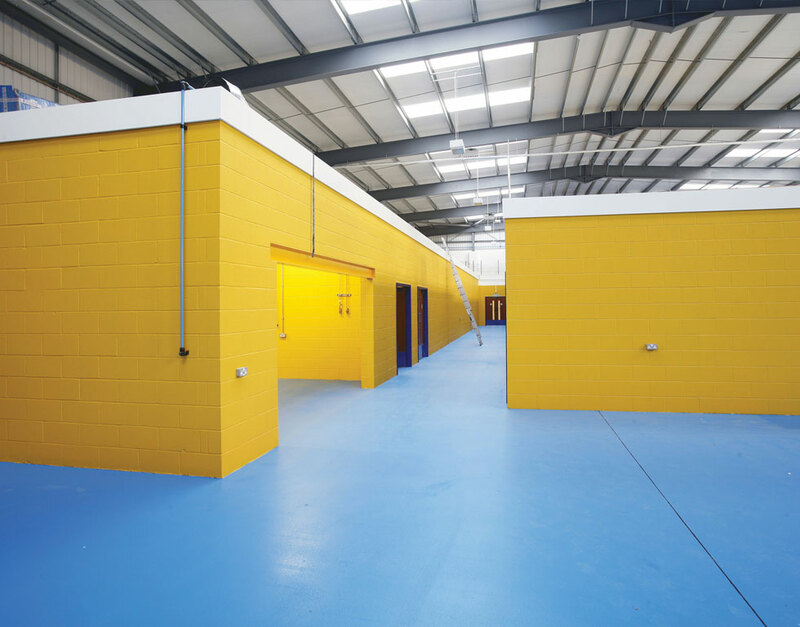 This required an innovative approach to both the lease and the option required to extend the factory, whilst providing Artisan with an investment it subsequently forward sold to an Investor on commercially acceptable terms, to all parties. Artisan prides itself on always having client interests at heart and considering all sorts of financing options to ensure that the outcome works in the right way for the business owner, as well as any other financially interested parties. To do this, Artisan liaised closely with both the client and its commercial agent, Barker Storey Matthews, to ensure the right outcome. 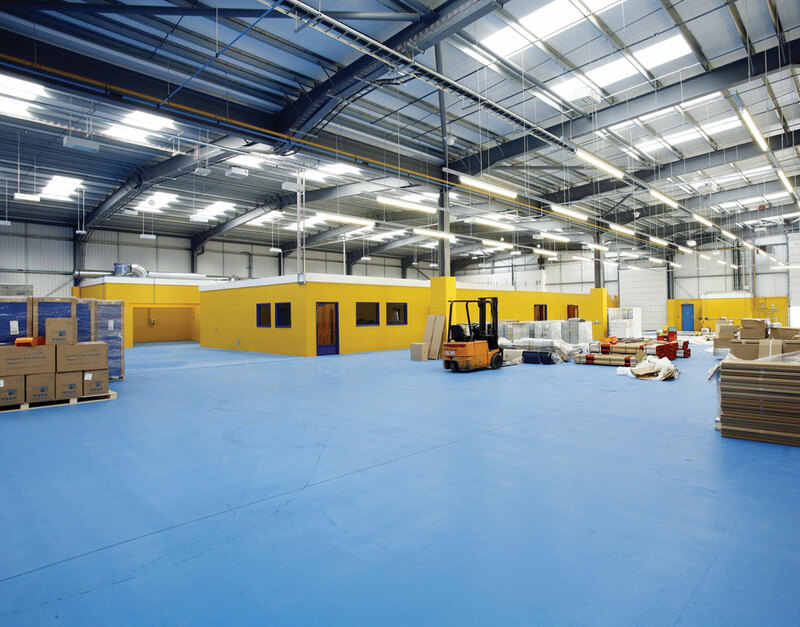 Artisan (UK) Projects Ltd engaged its own design team to manage the general building specifications, taking extra care, given the manufacturing facility under the Black Teknigas roof, that the building was efficiently heated and cooled to modern standards in order to maintain safe, secure, working conditions. 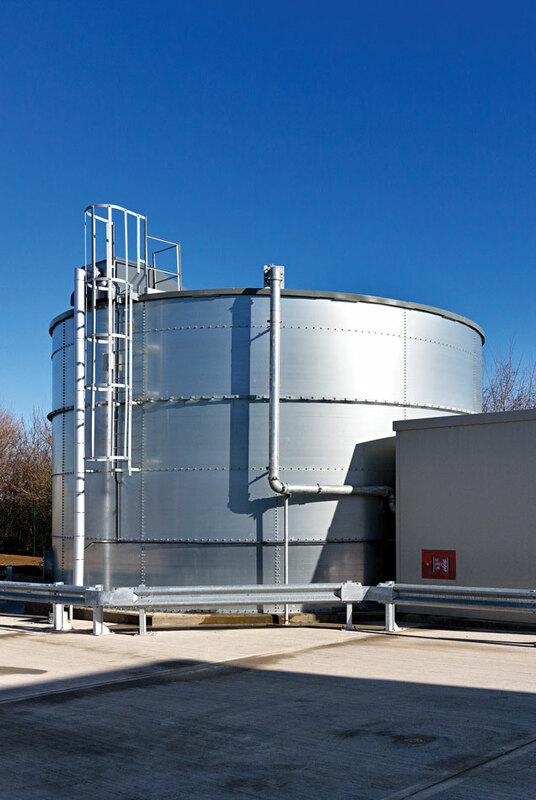 The outcome was a project delivered in two separate phases of construction across a life-span of 5 years but at all stages to time, to budget, and most importantly of all, to exacting technical requirements to ensure safe working with highly pressured product ranges. Linx Printing Technologies, part of the international Danaher Group, is a leading provider of specialist printing equipment. Their innovative printing technologies are used by organisations across the world. 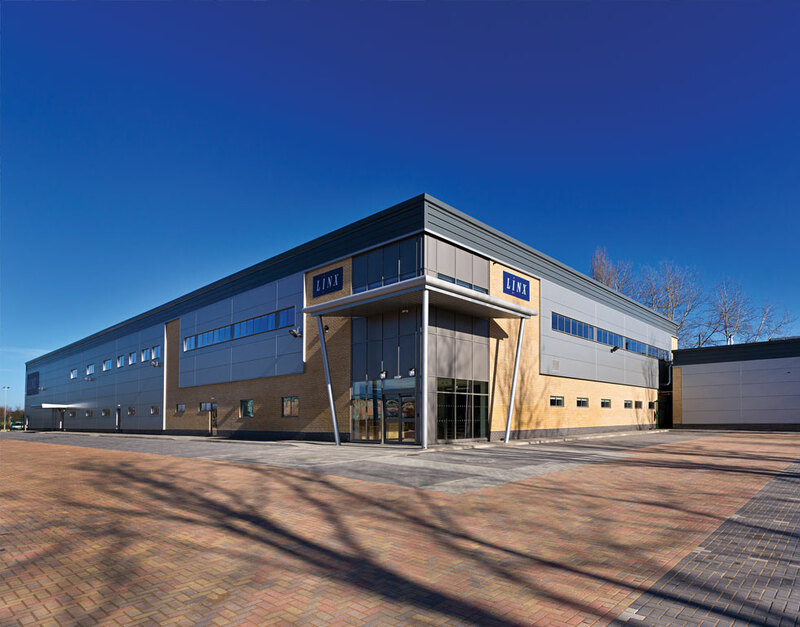 Linx needed a new headquarters and manufacturing facility in which it could bring its expanding UK commercial, engineering, and manufacturing activities together on one super-site. 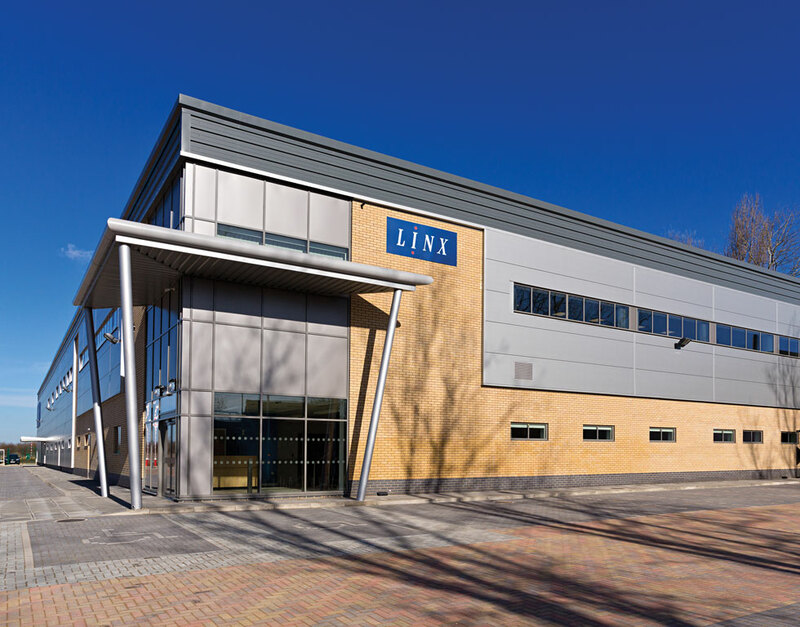 Linx was keen to stay close to its earlier roots (on several different sites in St Ives) in order to help retain and develop its loyal and highly-skilled workforce. 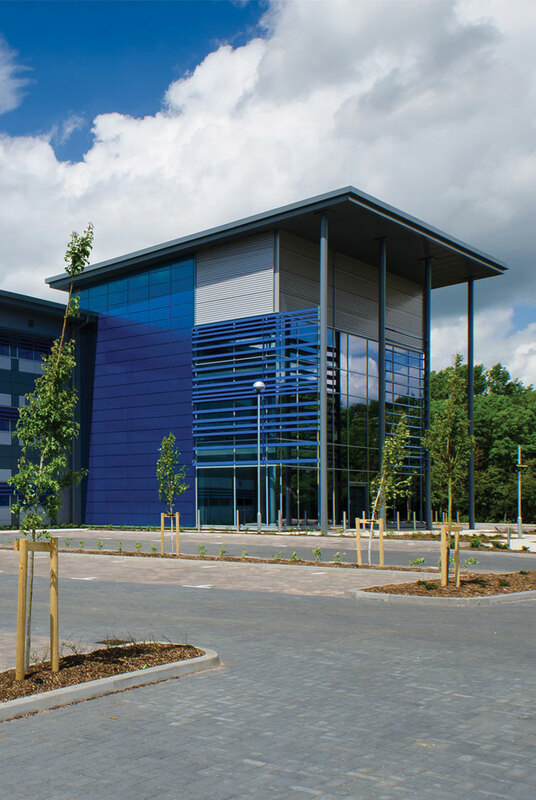 In that respect, Compass Point Business Park fitted the bill perfectly. Its other key attraction was that it offered potential for the building to include expansion space to meet future demand for Linx’s technologies, and give room for more innovation. 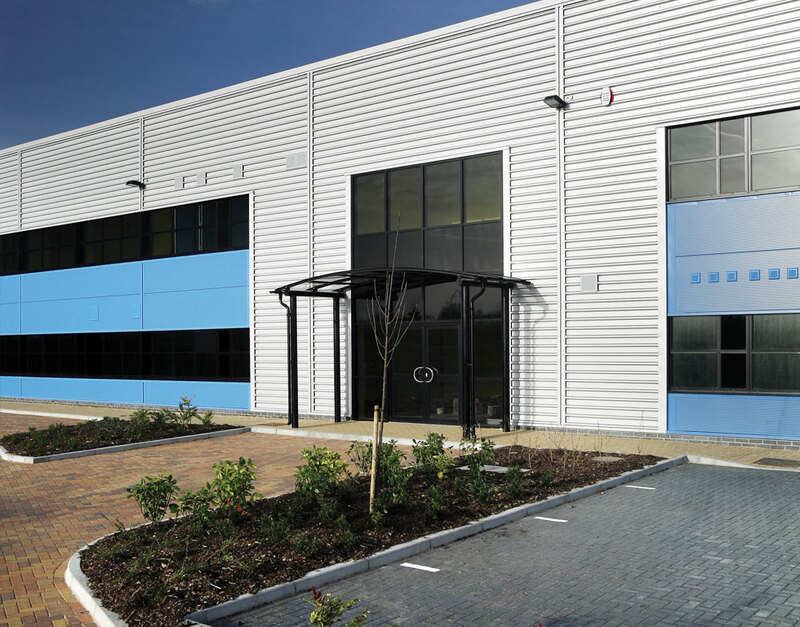 Mark Cooper, Linx’s Chief Financial Officer, was delighted when Linx’s commercial agent, Barker Storey Matthews, uncovered the development opportunity at Compass Point Business Park. At that point, Linx began to consider an alternative development route – namely to convert an existing building, and Barker Storey Matthews suggested that Artisan (UK)Developments would be ideal partners to help evaluate options, and find a solution. Michael Eyres, MD of Artisan met with Mark and his team and looked with them at the conversion opportunity as well as the Compass Point plans. Artisan recognised the commercial imperatives and Michael Eyres made quick progress with evaluating the development options for Linx. He promptly calculated the cost implications for each development route right through to construction. Artisan’s construction arm was able from the outset to provide a thorough and clear evaluation of the likely scale of costs relating to the specialist engineering-related elements of the build. In fact, Michael was able to demonstrate that the purpose built approach at Compass Point would still be the most cost effective and commercially sensible approach for Linx to take. Mark now had the confidence to proceed, with Artisan alongside as his development and construction partner. Artisan worked collaboratively with both the original landowner and Linx to ensure that the scope of this work was understood and helped negotiate that the costs borne between the contracting parties fairly and amicably. Artisan entered into a formal Joint Contracts Tribunal (JCT) contract with its construction arm, Artisan (UK) Projects Ltd (APL), so that Linx could have complete confidence in the seamless workings of the process. Just as Artisan works in partnership with APL, so Linx also handled the evolution of the project internally. Once Mark Cooper, CFO at Linx had agreed the financial parameters of the agreement, responsibility for implementation passed internally to Luke Fairhead within Linx, appointed as Project Manager for Compass Point. Linx engineer technology that is robust, capable of working in extremes of temperature, and versatile – printing precisely on to all sorts of surfaces. The environment in which it is produced has to meet exacting specifications. Every Artisan building is bespoke, and that starts from the ground up! This was particularly important in the case of the Linx building, as Artisan spotted that there would be unexpected and additional land remediation measures necessary, prior to building commencement. 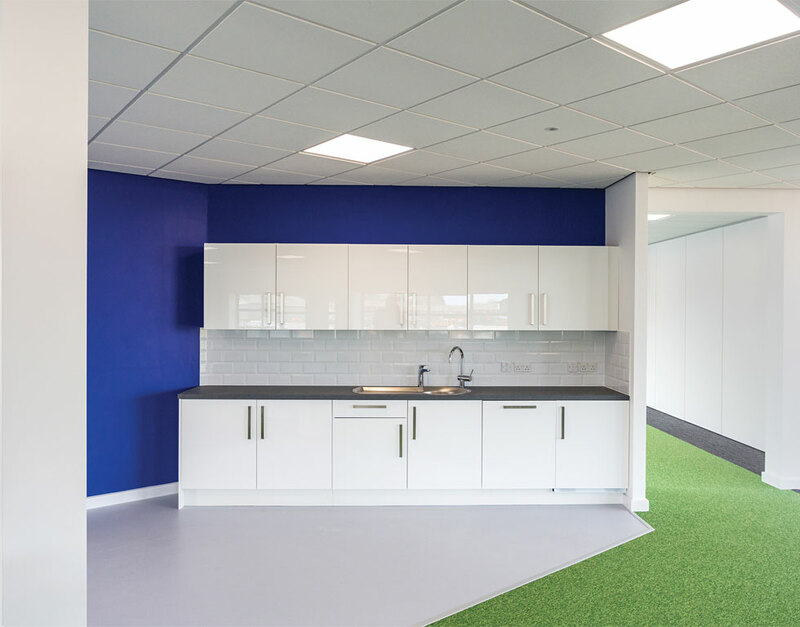 Interior efficiencies were equally matched with a concern for environmental care – on Artisan’s advice, Linx included a heat recovery fresh air system, solar PV roof panels, and water saving devices in the building. 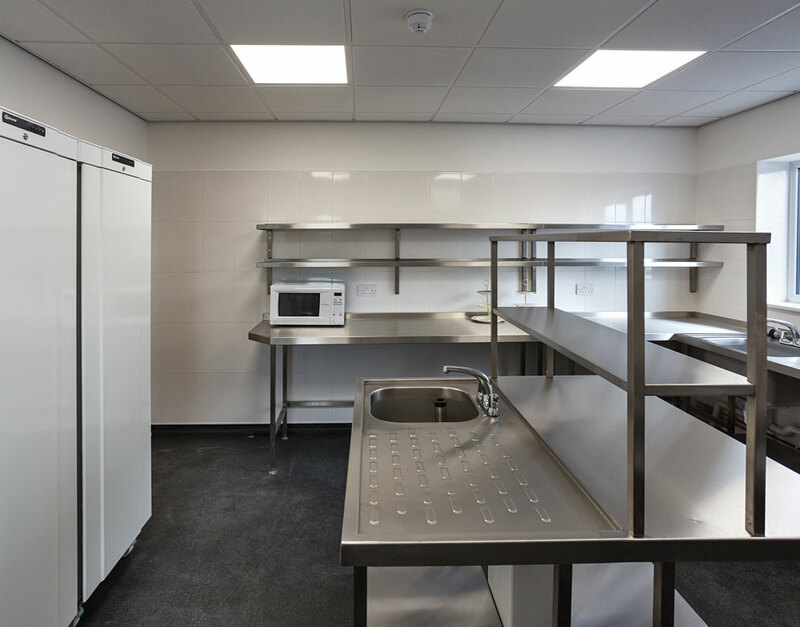 Artisan understand technical requirements – experts in commercial builds which have a highly technical element. Accurate costs to agreed budget limits across all those elements. Open book, transparent costs – no hidden extras or nasty surprises. Dynamic and problem solving – unblocked delays and obstacles, including around land remediation, which could have stalled the project completely. Project managers on site to drive build progress: experienced Artisan project manager always on site to advise on progress and implement minor changes if required. Cost and values conscious: alternative solutions designed to be robust and cost-effective, whilst delivering quality that a leading organisation can be proud of. Collaborative and on our side: partners who work with us from end-to-end, to implement and bring the project together on time, and within budget. Flexible, not fixed on one solution – drew up detailed comparisons between a bespoke purpose-built building and a conversion from existing space. 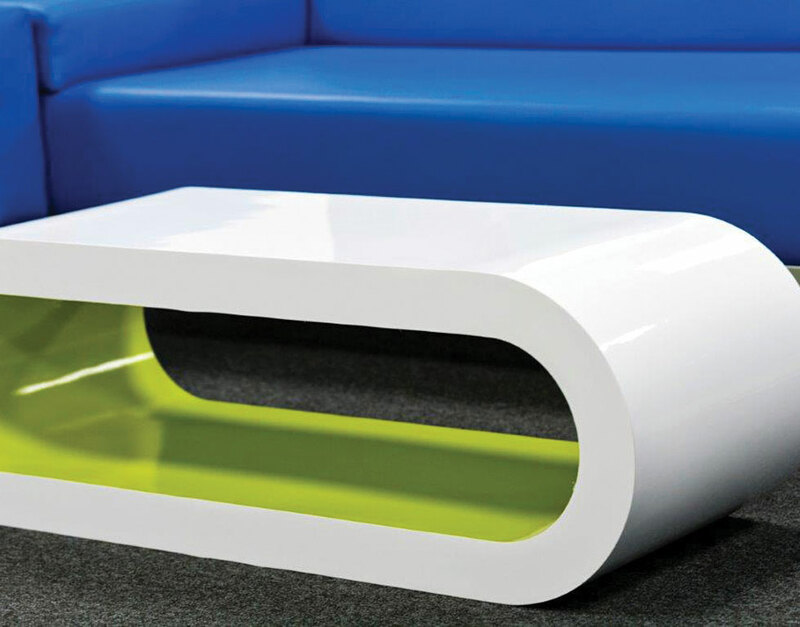 Seamless, smooth and prompt handover between development and construction project arms. Manage at pace: Artisan’s construction arm work efficiently as a team and build follows a prompt timetable (catching up time lost at the project viability stage). Many clients come to Artisan (UK) Developments to help them work through the choice between commissioning a new build or refurbishing an existing building to their own specifications. Artisan (UK) Developments recognise that this can be a finely balanced decision. This Guide sets out some of the key decision factors to be weighed up. It all starts, naturally enough, with LOCATION. We recognise that growing businesses with loyal and skilled workforces and proven logistical and transport links must stay local in order to continue to thrive and grow. 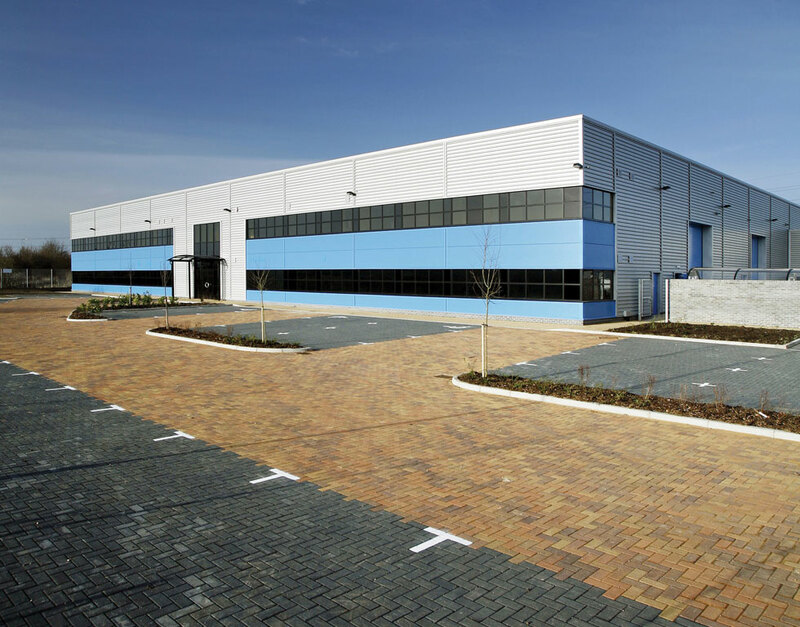 Whilst the appeal of commissioning a new-build from scratch, tailor-made to requirements, is strong, we also know, as Greater Cambridge and Peterborough regional specialists for commercial and industrial building, that new-build land is in scarce supply. 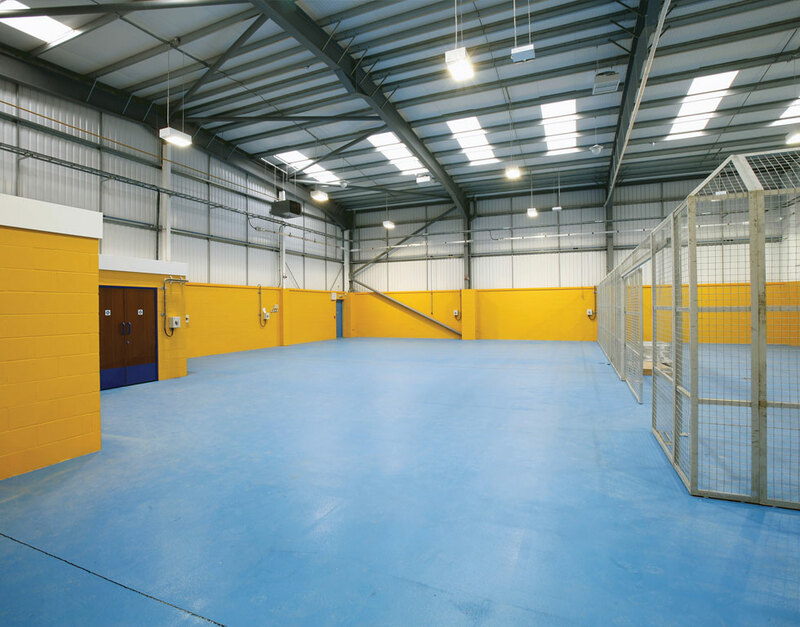 So our advice is always to consider any site in the ideal location, including refurbishments. We have the expertise to evaluate existing sites as well as new ones. 1. 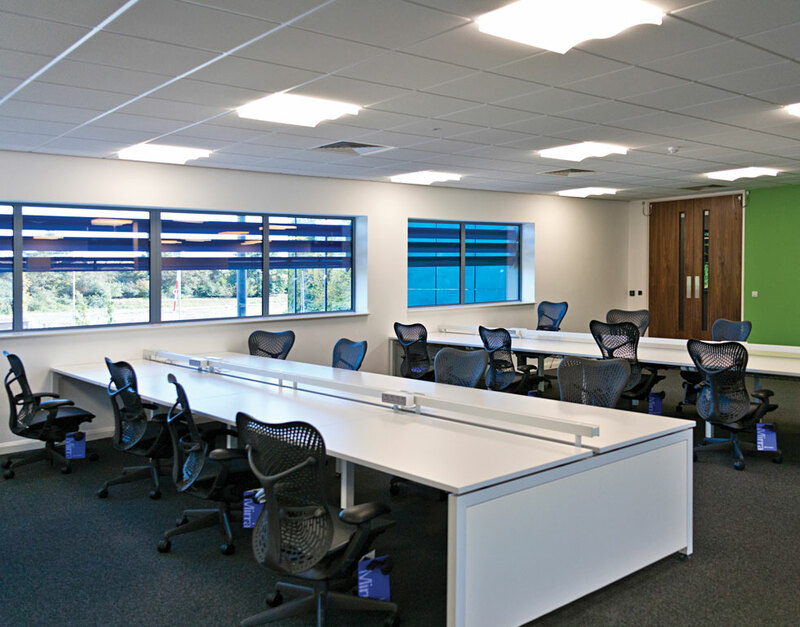 Time constraints: the decision to move premises is often as a result of strong business growth – continuing to squeeze into existing space is ultimately unsustainable, incurring the human cost of ever-decreasing workplace satisfaction for staff, with potential efficiency losses from poorly-designed spaces carrying through to the bottom-line. We always help clients assess the likely “time to completion” for any given site: we know that time is of the essence and have always, in 25 years of development, delivered to time or ahead of time. Having our own construction arm enables us to deliver timescales where others can’t: we move from the planning and consent phase to building and fit-out within one project. 2. 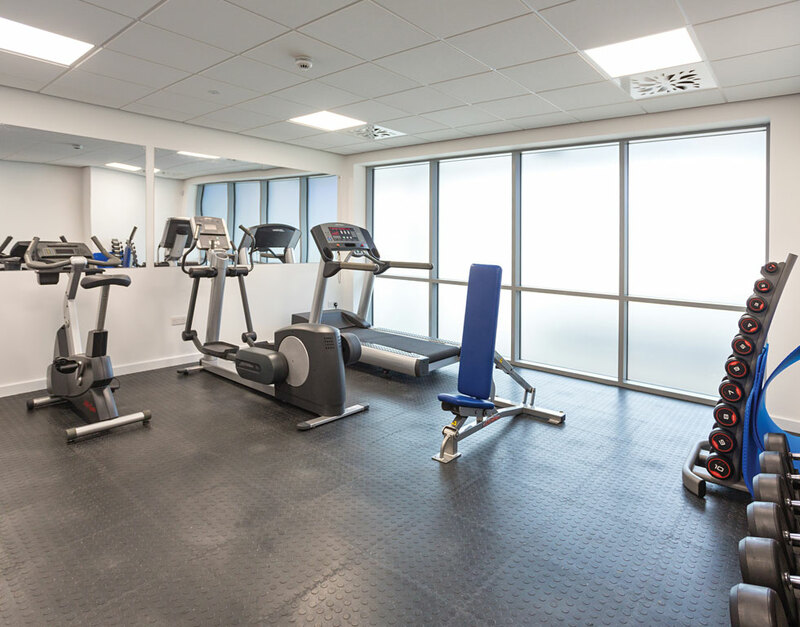 Fit-out requirements: Some build specifications are highly technically demanding – we will always assess whether re-fitting an existing building will be practical, cost-efficient, or timely. Will refurbishment be minor and cosmetic, or involve major changes to the services or structure of a building? We help clients work out the trade-offs between cost and time involved for each individual project. 3. Cost: The inter-play between the two factors above: time constraints and fit-out requirements often help to make the choice clear: refurbishment may at first sight appear the most attractive option in terms of time to complete, but technical issues in terms of creating the standard and level of fittings would stretch both time and cost unacceptably. Alternatively, new-build land opportunities may be in the pipeline but take too long for the business reasonably to wait in cramped, less than optimal, conditions. BREEAM (the Building Research Establishment Environmental Assessment Method) is “the world’s leading sustainability assessment method for master planning projects, infrastructure and buildings”. BREEAM starts from the ground up: encouraging sustainable land use and promoting the reuse of brownfield sites. Buildings with BREEAM accredited status will have applied thought and action to enhance the sustainability of a building via energy efficiency, waste pollution and water control, and design and materials procurement. The overall BREEAM building performance rating results from a combination of these factors and ranges from: pass, good, very good, excellent, to outstanding. Why build BREEAM into your project? For a tenant or building owner, meeting BREEAM standards will at the very least reduce energy and operating costs. The wider business case encompasses the increase in rental/sale price that may be expected from a BREEAM accredited building. And there are other, more qualitative, advantages: working or living in a BREEAM-accredited building should be an enhancement on working in buildings which don’t. 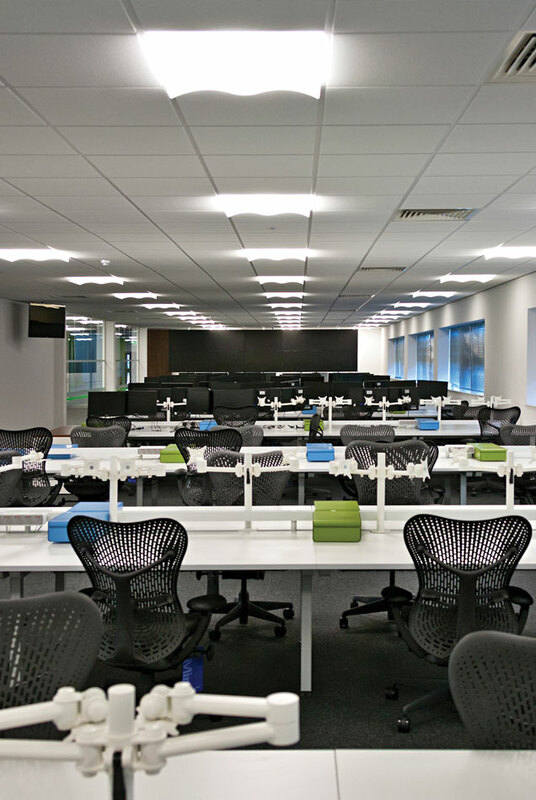 BREEAM includes measures specifically designed to maximise the well-being of occupants. Tenants may stay longer; workers may be easier to retain, in an enjoyable to occupy environment. Cost vs. return on differing BREEAM standards? Artisan will be happy to discuss this in detail, for every project: the difference in investment cost between achieving “very good” and “excellent” ratings for instance vs. the expected savings and returns that may be achieved.